Maybe I’m a bit crazy, but it occurred to me that the degree to which a mind is uncertain may be more valuable than the traditionally valued certainty. Certainty is narrow, it takes more data to elicit uncertainty. Rather, you can handle more data in a state of uncertainty. Or, in a state of uncertainty, more data can be channeled through your person. A binary state mind has a lot of “intellectual voltage” and can scale the Jacobs ladders of intellect quick as lightning. But uncertain biological minds have a lot of current, like a river. This has more substance than lightning. It is more tethered to external forces. It flows along the path of least resistance without resorting to numerical logic. Re: Smoothly Guided with Uncertainty! 2 Likes Art and Hopefully Something like this. I can see it now... Fuzzy Computing Inc. Selling H.S. cubes world wide! Fuzzy logic is an approach to computing based on "degrees of truth" rather than the usual "true or false" (1 or 0) Boolean logic on which the modern computer is based. The idea of fuzzy logic was first advanced by Dr. Lotfi Zadeh of the University of California at Berkeley in the 1960s. You do know that Fuzzy Logic is already a thing... yes? If you have a bit that is 50/50 it is a completely useless bit that means nothing, and they are the only bits you have past your actual store of them, otherwise we would have infinite compression. if a telecommunication from a modem is too fuzzy, 50/50 1 or 0s, the data is lost, you need redundancy to see if the signal was a 1 or a 0. Fuzzy can help find new ideas though. It's part of a deciding factor when considering different approaches to a problem. 50 50 bits are a joke, if you compare them to the data stream you've got half of them right. My concept of fuzzy is more like this. 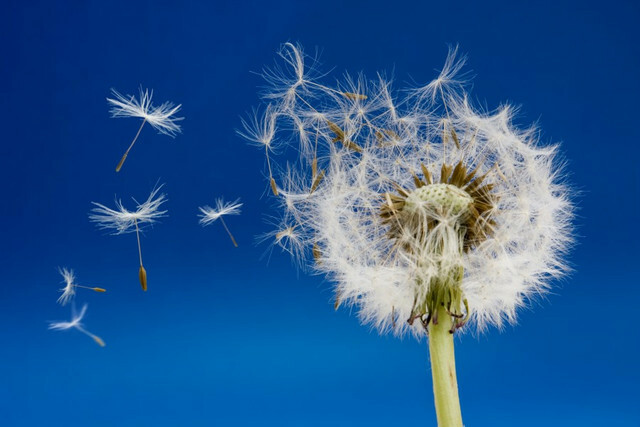 These seeds can be guided by the wind because they have so many points of contact. They behave very intelligently because their structure looks at the wind from all sides, gets a detailed perspective. An analytical machine would only have a few inputs and try to cover for the lack of information with mathematical reasoning, which is slower and less efficient. Making a quantum computer is very dreamy, and the world completely misses how diabolical they are. If one could produce an infinite fluid sim, it would mean the universe is recreatable in a machine, and that means so much more for what it would cause. it cant be an ordinary machine to do it, Uncertain they are, because its actually illogical that one would have that much power. But on the positive optimistic side, that even a microbe demonstrates a lot of amazing understanding and reaction of and from the world around it, but we don't even understand a fly, let alone something more complex like a human being... but its true that possibly something amazing is happening in nature, and it must be logical that it can work, but man hasn't understood it for a long time, and for that reason, skeptics behavior is to believe we never will, and to tell anyone that does believe that they are idiots with the dunning kruger effect. And life is that ugly. I don't know if fuzzy logic is all that HS is reaching for here ... it sounds more like some form of analog and/or massively parallel computing. Have to Add to this. Analogue computers have infinite resolution of a SUM. but a sum on a digital computer defeats analogue through consequtive bins. The finished detail of your analogue value, is only the log of the digital computer. It means even if you detect it to the individual electron the digital computer will beat it in a mediumish large integer, though consequtive powers of two, not even a big key. Only by the electrons having a separate id each, could you have some kind of super analogue memory. So do you think no two electrons are the same - like little baby snow flakes. Nup. Doubt it.